Representatives from YouTube, Facebook and Twitter testified in front of Congress once again on Tuesday in the ongoing saga that started in 2017 following US intelligence agencies’ claims that Russia used social media to meddle in the election the year prior. Like at the hearings before it, little was learned in terms of substance. The House Judiciary Committee hearing, entitled "Examining the Content Filtering Practices of Social Media Giants," followed in the path of previous hearings, with representatives from major social media companies vowing to continue on their paths of using artificial intelligence and human moderators to weed out fake news, hate speech and bots. All this effort despite Facebook CEO Mark Zuckerberg's comments that very same day that defending the rights of Holocaust deniers to espouse their hateful historical revisionism on his platform because Zuckerberg said he doesn't think "that they're intentionally getting it wrong." "I just don't think that it is the right thing to say, ‘We're going to take someone off the platform if they get things wrong, even multiple times,'" he told Recode. Present at the hearing was Facebook's head of global policy management Monika Bickert, YouTube's global head of public policy and government relations Juniper Downs and Twitter's senior strategist of public policy Nick Pickles. Pickles noted that his company furthered that effort by disallowing RT and its related accounts from taking out advertisements on their platform. Though largely ignored by the US media, Twitter approached RT with an advertisement package that the news outlet found to be too expensive. They eventually settled on a less intensive one, which ultimately led to Twitter banning RT from promoting its posts amid a storm of scrutiny. As is usually the case, members of Congress showed themselves to be either highly unfamiliar with the Internet or primarily concerned with partisan agendas. Representative Lamar Smith (R-TX) accused Google of blocking his searches for "Jesus, Chick-fil-A and the Catholic religion." Democrats felt that their time should have been used to hold hearings on US President Donald Trump and Russian President Vladimir Putin's relationship and "Russian election interference," even though that's what started Congressional scrutiny of the social media giants in the first place. One exchange that broke the mold, however, came from Rep. Louis Gohmert (R-TX), who began his opening statements by thanking Democrats for their concerns over Russian interference into the 2016 election and continued with the bizarre assertion that Russia has been interfering in US democratic processes for 70 years in favor of the Democratic Party, citing a number of examples. But Gohmert was just getting started. He addressed the three reps: "I need to ask each of you — you've been asked specifically about Russian use of your platforms, but did you ever find any indication of use of your platforms utilized by the Chinese, North Korea or any other foreign country, intelligence or agency of that country?" Clearly this was an unexpected question as not a single one of the three were prepared to answer it and jumped through hoops to avoid admitting they couldn't. 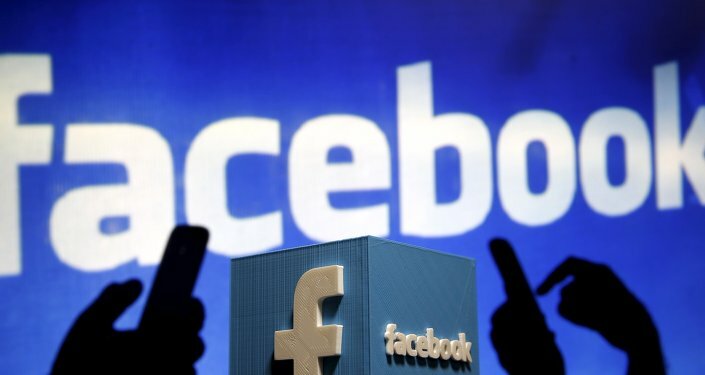 Facebook's Bickert immediately responded by noting that the company doesn't operate in China or North Korea, as if they may need to in order to determine if those countries were manipulating their platform to promote their agendas. "It should be a yes or no [question]," Gohmert repeatedly reminded the tech reps.
Having received no answer, Gohmert told Bickert, "So you don't really know. You sure seemed anxious to answer the Democrats' questions about Russian influence." Gohmert then posed the same question to Downs, the representative from YouTube, which is owned by Google. "Our security team is trained to protect our services from foreign interferences-" Downs began. "Are we gonna get to answering my question?" Gohmert interrupted. He repeated the line once again as Downs continued to dodge. "You're only here to condemn the Russians," Gohmert concluded.